These agents specialize in specific areas of agriculture and natural resource management and serve many counties. While their knowledge and expertise is available to residents of Currituck County Center, they may not be present in the Currituck County Center. 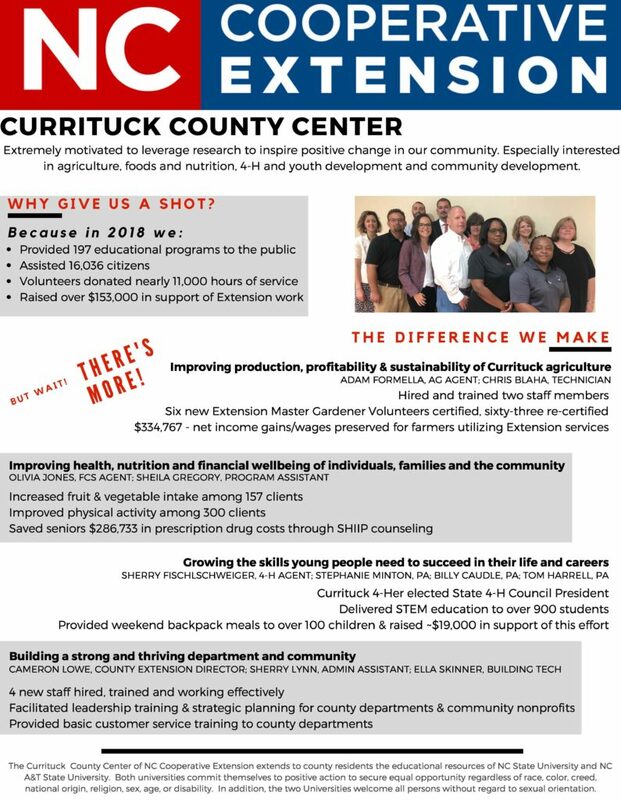 Please contact the Currituck County Center for assistance and initial consultation.